If we Californians knew more about Washington merlot, we wouldn’t be so surprised at how good it is. 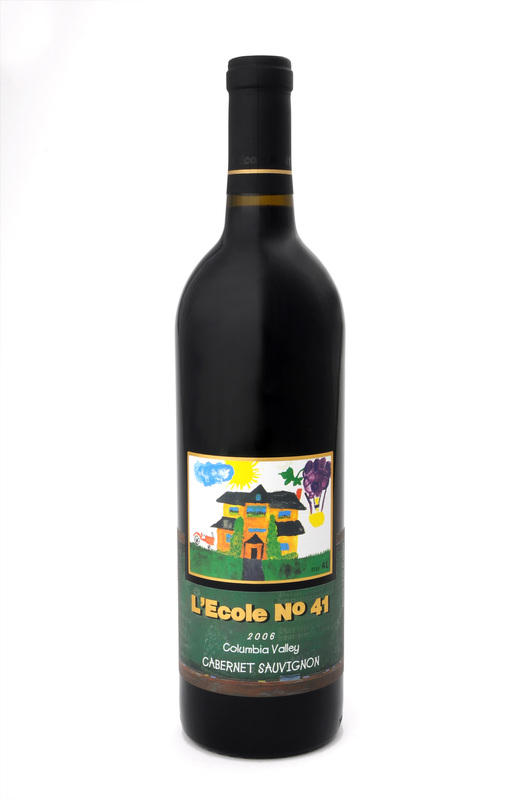 Merlot is the principal varietal at L’Ecole No 41 (and an important varietal throughout Washington state); L’Ecole No 41 has been making merlot since 1983 when they were the third winery in the Walla Walla region and the 20th in the state. They also make Semillon, Chardonnay, Chenin Blanc, Cabernet Sauvignon and Syrah for a total of 30,000 cases in 2005. — an intense involvement in all aspects of vineyard management, including designated blocks or rows, a direct personal relationship with the on-site vineyard manager or viticulturalist, and tight winery controls on yield and other vineyard practices, for both estate grown and contracted acreage using sustainable biologically-based vineyard practice and hand picking on the harvest date selected by the winemaker; cool mornings for the whites and warm mid-day temperatures for the reds. In fact, L’Ecole No 41 is 100% certified sustainable and certified Salmon Safe in all of the vineyards in the Walla Walla Valley! So for tonight’s dinner, I chose to follow up on that wonderful merlot experience and discover what their 2006 Cabernet Sauvignon from Columbia Valley had to offer with a nice juicy steak. The moment when the steak touched down and joined the hot baked potato on my plate, the warm air near my glass released the wine into the air and cherry and plum notes wafted over the meal to my nose leaving me quite delighted. Dense and dark in color, this full bodied wine lives up to its reputation. In addition to cherry and plum, I found some currant and earth. It has plenty of varietal characteristics but it also offers something different, which I’d attribute to the Washington terroir. Their website says it could cellar for another 10 years. I wish I had the patience to keep the bottle open for a few days and see how it develops but I have to admit that we drank most of it with dinner! However, over the course of six hours, from when I opened it before dinner until now, it opened up and changed subtly with never a dull moment and is leaving me with lengthy finish and a haunting sense of walnuts. It’s got a real cork closure and is 14.4% alc. (which does make it a little on the hot side if you’re drinking it without food). While I know a lot of wine drinkers regularly spend $20-25 for a bottle of wine, spending $25 on this wine (from the Ventura Wine Company or $29 from the winery) makes it a special occasion. Sometimes that special occasion is as simple as a full moon in Libra on a beautiful clear night when we’re on this side of the glass. And a dream.